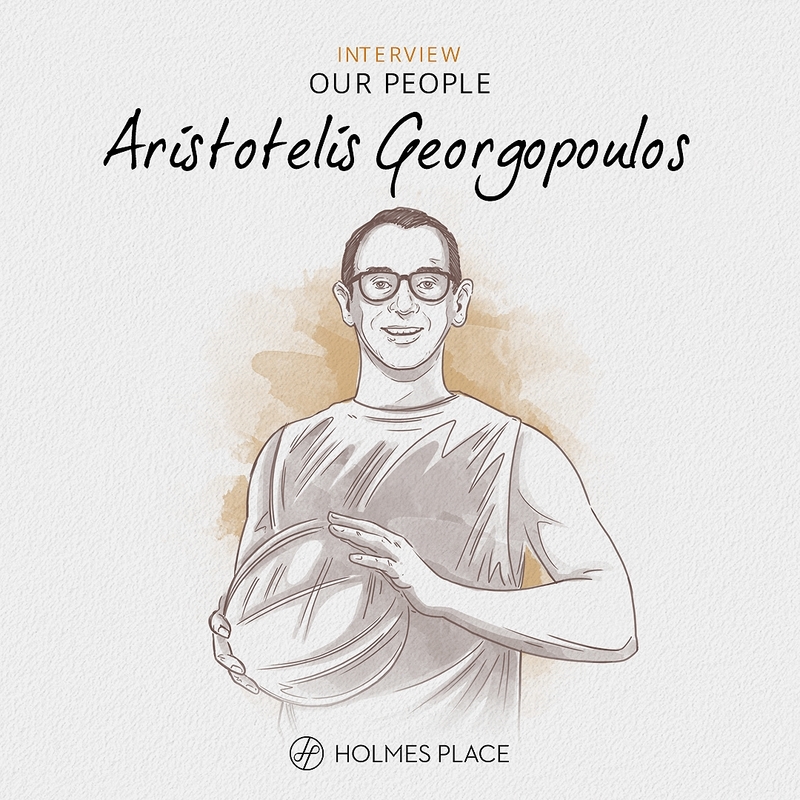 Aristotelis Georgopoulos is passionate about basketball and education. He combines the teachings of both and uses Aristotle's philosophy to mentor members and team members. This is how he does it. My passion is "people". I love sharing experiences and expertise. My favourite sport is basketball; I find fascinating the harmony of the game, team effort leads to success, team coordination exemplifies mastery. Education is my present and future vocation. Teaching and mentoring new colleagues is my way to contribute to Holmes Place community: Team-members and members. My work fully embodies the 3 pillars of Aristotle's philosophy: ethos, pathos and logos. My journey in fitness industry started out back in school long before I decided to study sports science. Working out as a teenager helped me discover who I was meant to be and unlocked my anxieties. As a result, this is a journey that goes on until this day. I am in Holmes Place 15 years now and I consider it as a milestone for my career as a personal trainer and Academic Manager. I am honoured to hold Holmes's respect and trust. My colleagues inspire me to improve my self and my job! My next goal is to make Holmes Place Academy the most prestigious and market-oriented institution in fitness graduate studies for working professionals. The best is yet to come! You can see all Our People's interviews here. Posted in Our people and tagged Our People, Human Resources, Interview.